Home » Azul SkinHealth Blog » Spice up your skin care routine with SERUMS! Spice up your skin care routine with SERUMS! As the temperatures continue to drop and the air becomes drier ‘tis the season for altering your skin care routine. Now, asking you to add another step to your nightly routine might seem daunting, especially during this busy holiday season, but we think the gains are worth it! If your skin could have a best friend, it would be a serum. These small bottles pack a strong punch and have a direct impact on your skin health. Serums moisturize the top layer of your skin while delivering highly concentrated and skin transforming nutrients into the dermis. Now that’s awesome! Serums can be pricey, so before you embark on this journey to healthier skin its best to set a goal. What are your skin’s needs? Is it to reduce oil (try our Acne Defense Serum), correct dark spots (Dermabright HQ Serum), smooth away wrinkles (Vita A with Peptides), maybe you want a general anti-aging serum (or Regenerating Serum with EGF) or maybe your skin is really dry and you need extra moisture (Moisture Intensive Serum))? Knowing your skin and having a clear idea of what you expect will save you time and money. 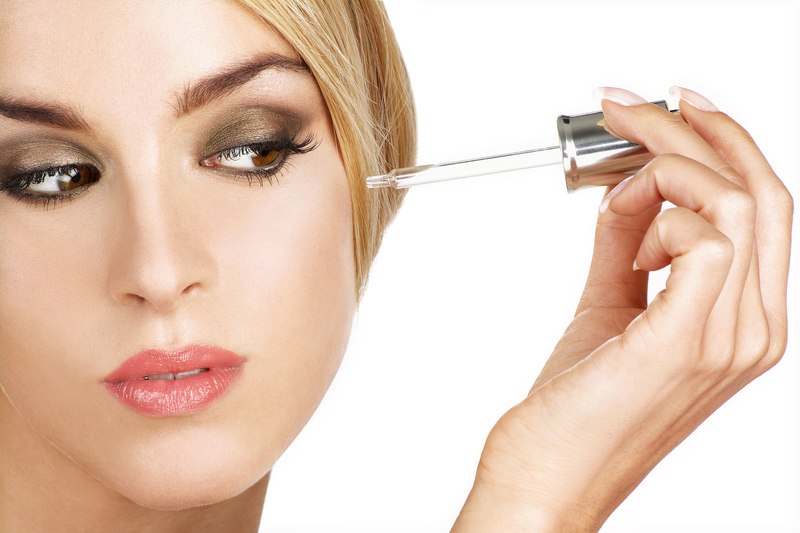 Before you purchase a serum, know what is in it and how it will help your skin. Since serums are high concentrated with active ingredients, make sure its ingredients match your individual skin goals. We recommend a consult with one of our skin care providers to give you guidance and be sure you are on the right track. When and Why: Think of ingredients as a story. Not only do they tell you what is in the bottle but how to use it. Serums containing vitamin C should be used during the day because the antioxidant properties neutralize the damaging rays of the sun while those containing vitamin A are best at night because they provide restorative properties while you sleep. Be Consistent: Whether you use your serum twice a week or daily, once you set a routine to follow it through. Just because you don’t see instant results don’t give up. Storage Is Key: Make room under your bathroom sink. These precious beauties need to be stored in dark dry places. Overexposure to sunlight might reduce its shelf life. So, during this giving season don’t forget about yourself, you’ve earned it and your skin will thank you! Take a look at our Serums to find your perfect match.